Visitors hiking between the towns on path number 2 need to pay a park entrance fee. 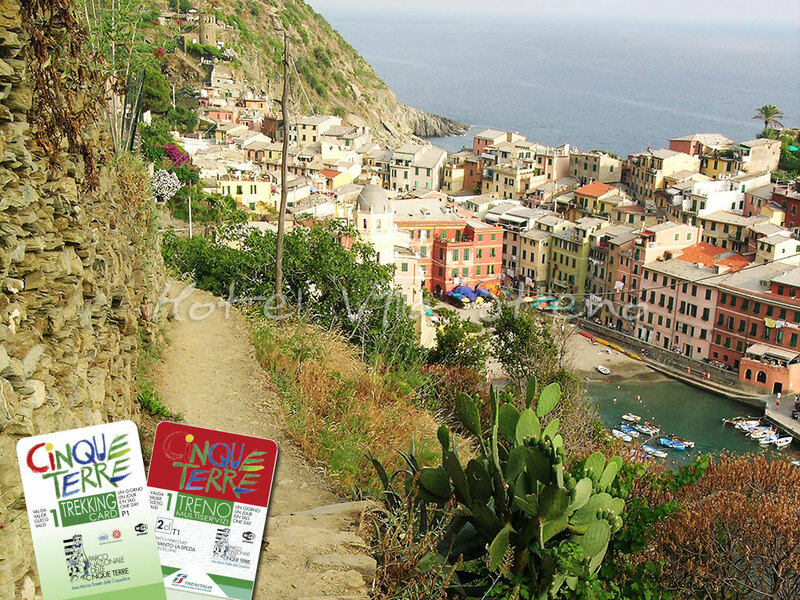 You can buy the Cinque Terre Card at any National Park Tourist Office (In Monterosso it is at the train station on platform number 1 or you can buy the card directly on the path at the checkpoint). You pay only for path number 2. All other walks are free. People hiking between the towns need to pay a park hiking fee. You have two main type of cards with several options. The Card comes with map, kids under 4 free. It's valid for one or two days (until midnight), covers all trails and buses but no trains, and can be purchased at trailheads or at national park offices, and usually at train stations. The card also includes a WiFi free access to Wifi National Park hot spots (train stations). This is a combo hiking pass/transportation pass covering the park hiking fee, local trains (from Levanto to La Spezia, including all Cinque Terre towns), and shuttle buses (2/hr, connecting each Cinque Terre town with distant parking lots and various points in the hills to hike higher path). It's sold at every town tourist office inside train stations and at checkpoints on trail heads. It includes a map, information brochure, and train schedule. It's valid until midnight of the expiration date. 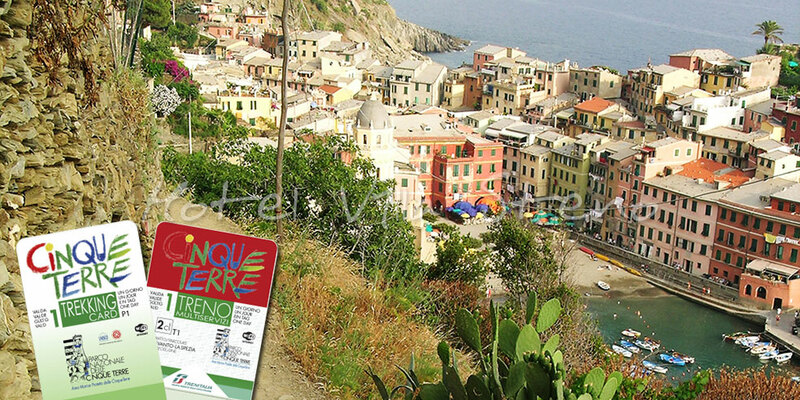 Validate your Cinque Terre Card at a train station by punching it into the yellow machine. If you hike, ride a train and take advantage of a shuttle bus (very important in Corniglia to reach the town from the train station) in a day, the pass pays for itself (includes also the ride on the elevator, which is outside the train station in Riomaggiore). If you do not buy the Cinque Terre Card Treno, one way train ticket from Monterosso to Riomaggiore costs € 1,80 and it is valid once you have punched it into the yellow machine for 1 hour and 15 minutes.